Are public defenders biased against their own clients? 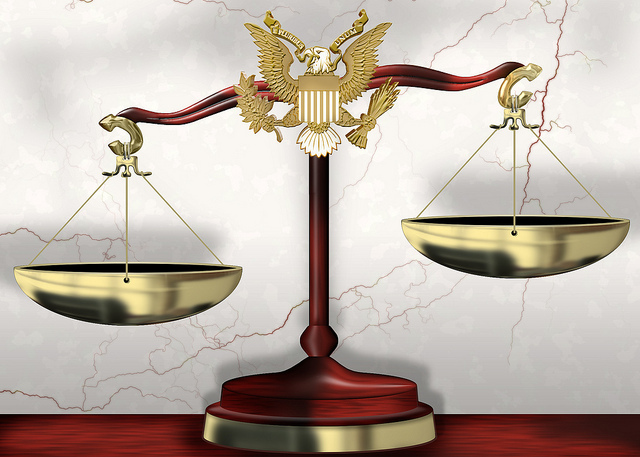 For thousands of criminal defendants, justice depends not only on the fairness of a judge or jury but also on the fairness of their own public defender. Racial disparity in the justice system has drawn major attention, but as The Marshall Project notes, little attention has been paid to the way bias influences the very lawyers representing clients hurt by prejudice in other parts of the system. Public defenders, who often work tirelessly for clients, are a crucial part of the court system. They’re also often overloaded with cases and have limited resources. That means choices have to be made on which cases get the most attention. Bias elsewhere in the justice system has been studied closely. As the story notes, black federal defendants are sentenced more harshly than white defendants. The Justice Department routinely investigates police departments and municipalities for allegations of bias and civil rights violations. For many defendants, a public defender is the last line of defense in a complicated and high-stakes system. They are also the lawyers who often can only spend little time with their clients because of constraints on time and resources. In Pennsylvania, for instance, most homicide cases go to trial with possible penalties as high as life in prison without parole. If prosecutors offer a plea deal, a lower sentence is generally offered. Defendants then have to weigh the risk of going to trial with a lawyer they may not know well or admitting guilt with no defense. Even without issues of racial bias, public defenders are often criticized for their handling of cases. Back in 1996, the American Civil Liberties Union filed a class action lawsuit against the Allegheny County Public Defender’s office, saying defendants were not getting representation demanded by the Constitution. The case settled, with reforms promised. Then in 2011, the ACLU released a report critical of the office, saying it was badly managed and that problems had increased in the several previous years. "People were still meeting their lawyers for the first time at the preliminary hearing,” Vic Walczak, legal director for the ACLU of Pennsylvania, told the Pittsburgh City Paper last year, commenting on previous problems. Since the ACLU report, the office has been under new leadership. Some public defenders are explicit in addressing potential bias their clients face. Mark Jacobs, a San Francisco public defender, asked possible jurors if his client’s dark skin might get him harsher treatment from the judge, according to The Marshall Project. He realized that possibility has changed his own thinking. Previously, he said he found himself viewing cases with immigrant defendants as less important. “It was a feeling of, they’re just going to plead guilty so why should I bother?” he told The Marshall Project. To better address bias in the system, Haddon and the American Bar Association are creating videos on bias to prompt reflection by judges and lawyers.